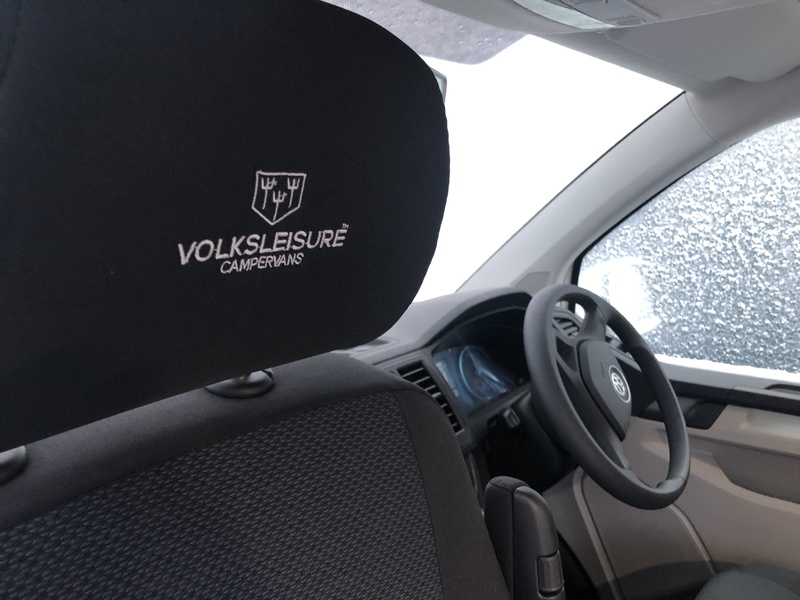 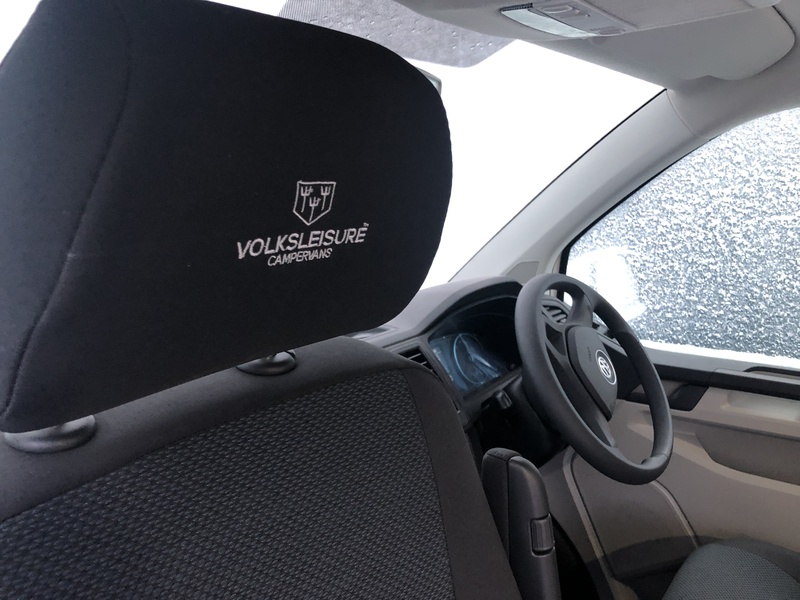 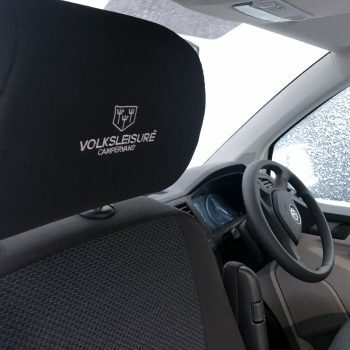 Our team at Volksleisure are renowned for building high quality VW campervans with the famous Reimo sliding seat system and Reimo roof. 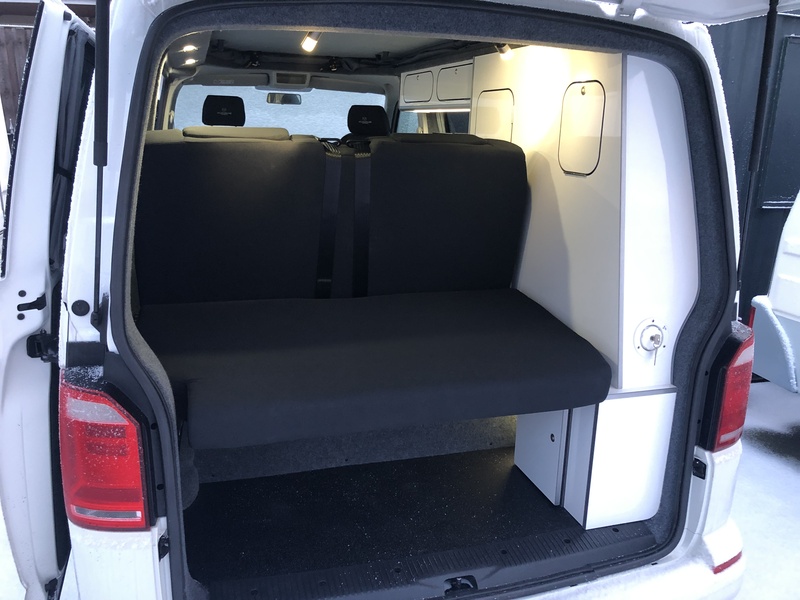 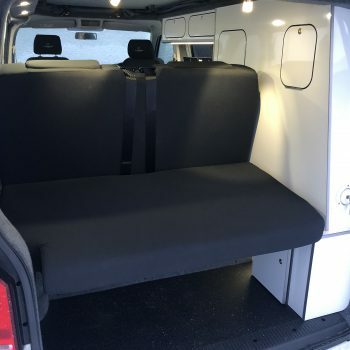 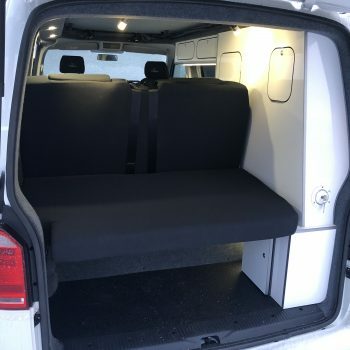 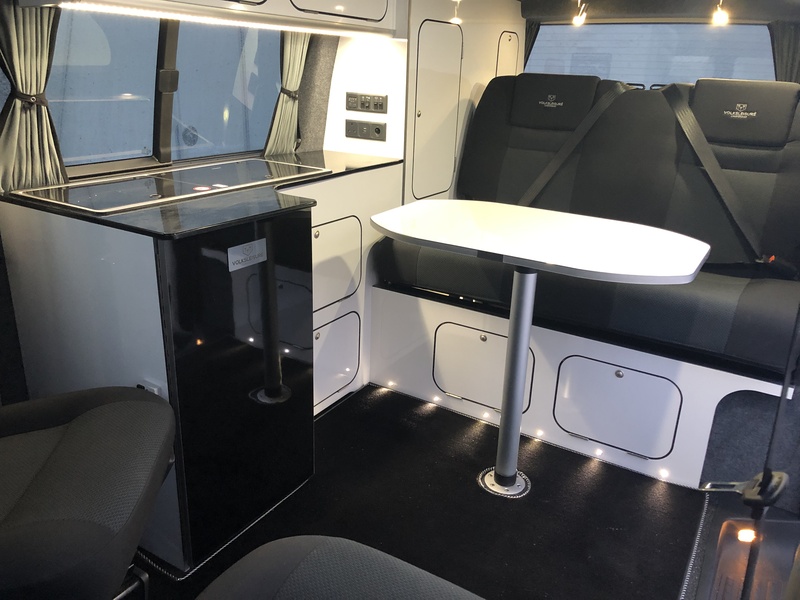 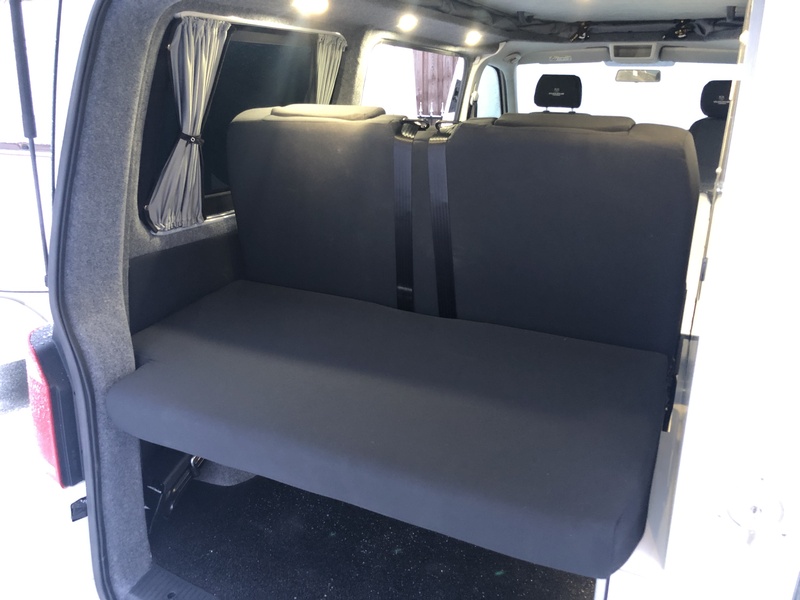 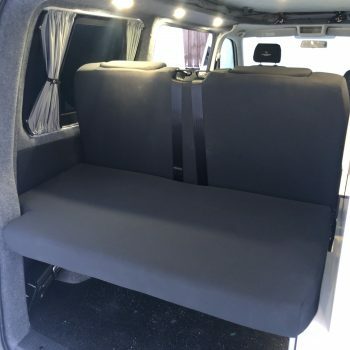 However, many customers have asked us over the years if we can also build a campervan with a fixed 2 seater rear seat as well as keeping many of the key build qualities and parts used in our flagship conversions all for under the magic £40,000 budget. 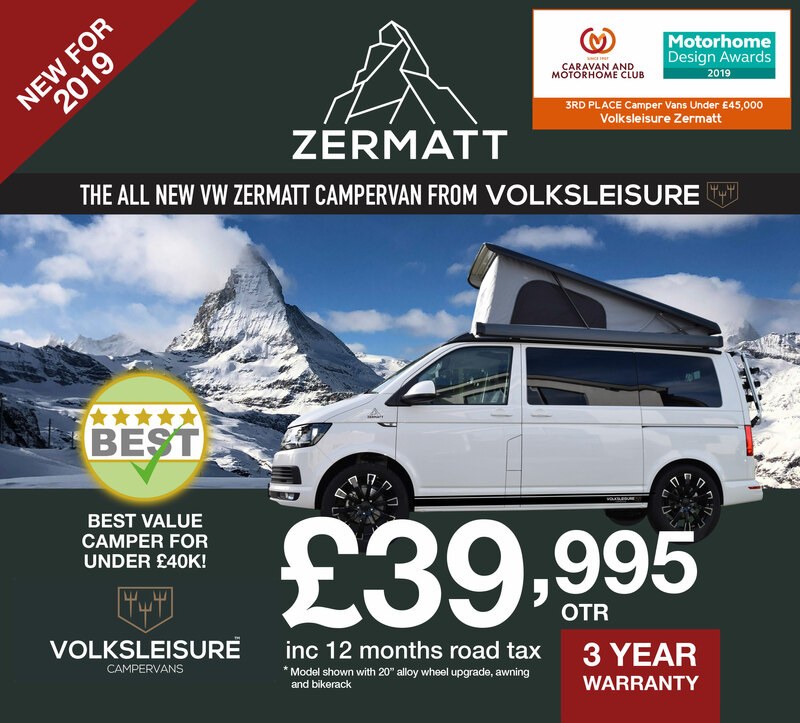 Well, we have and that’s why we are proud to introduce the all new Volksleisure Zermatt model. 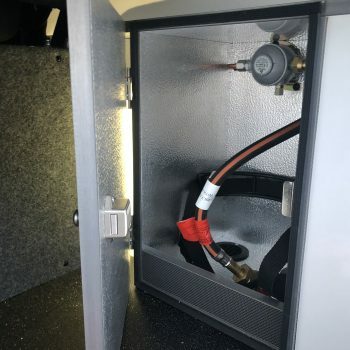 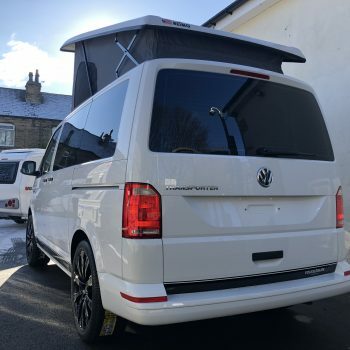 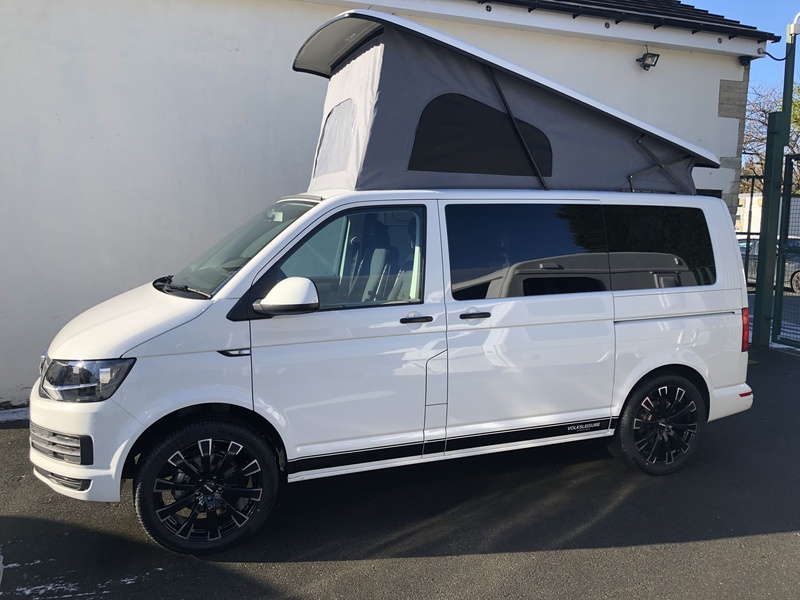 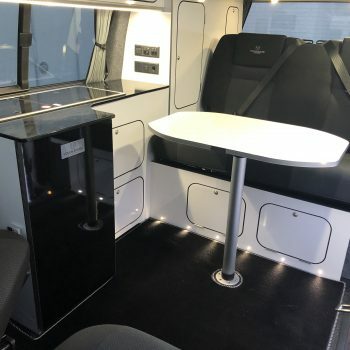 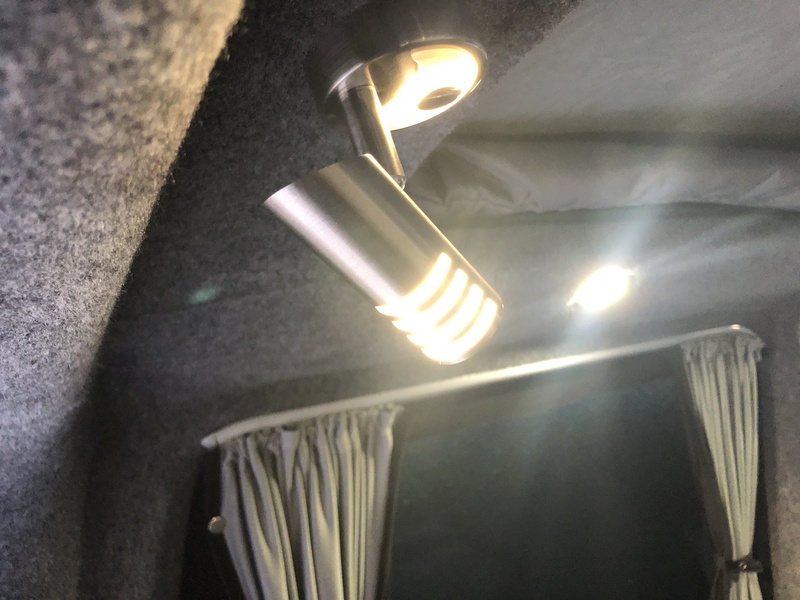 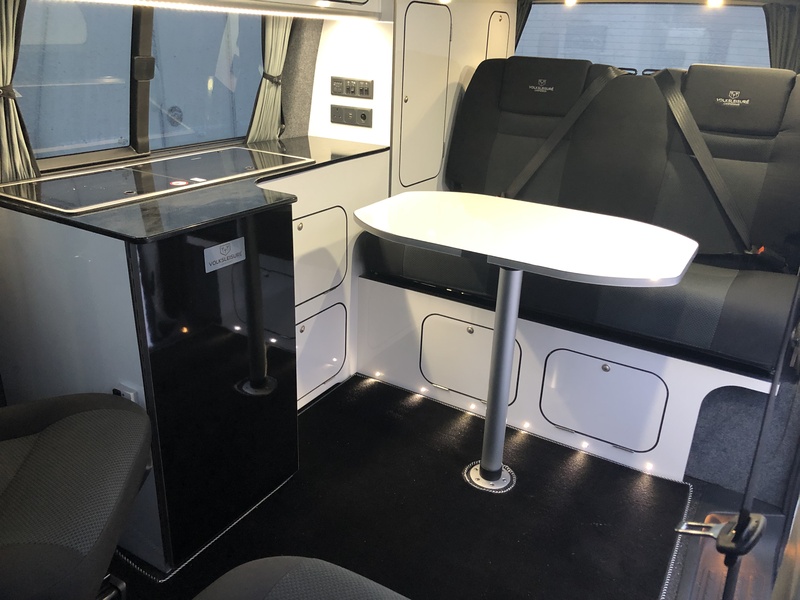 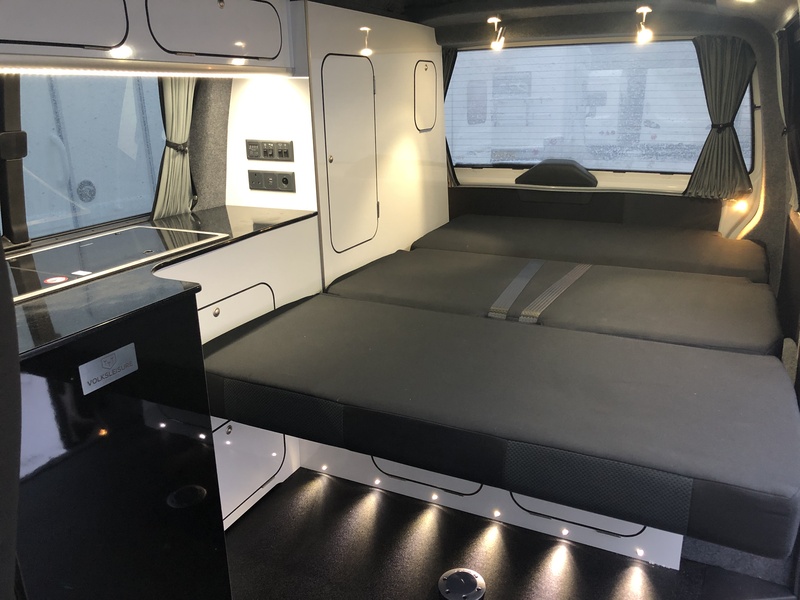 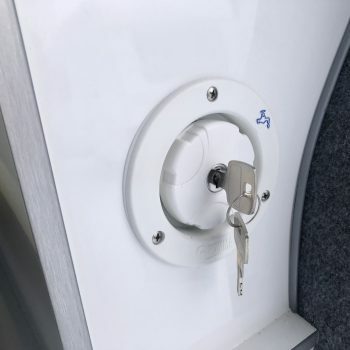 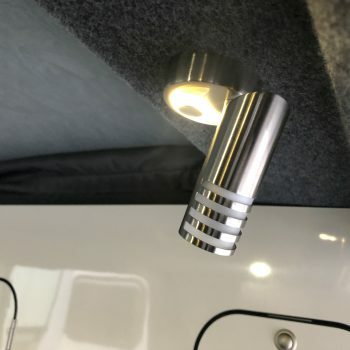 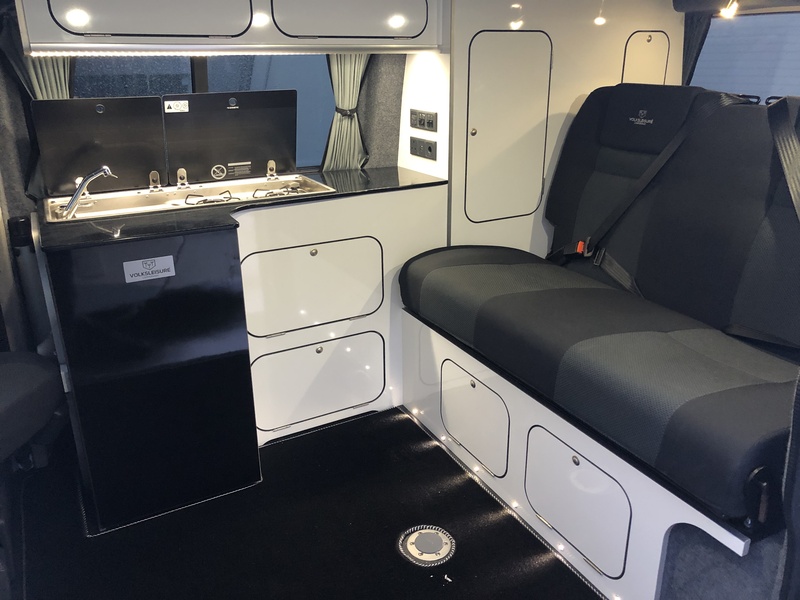 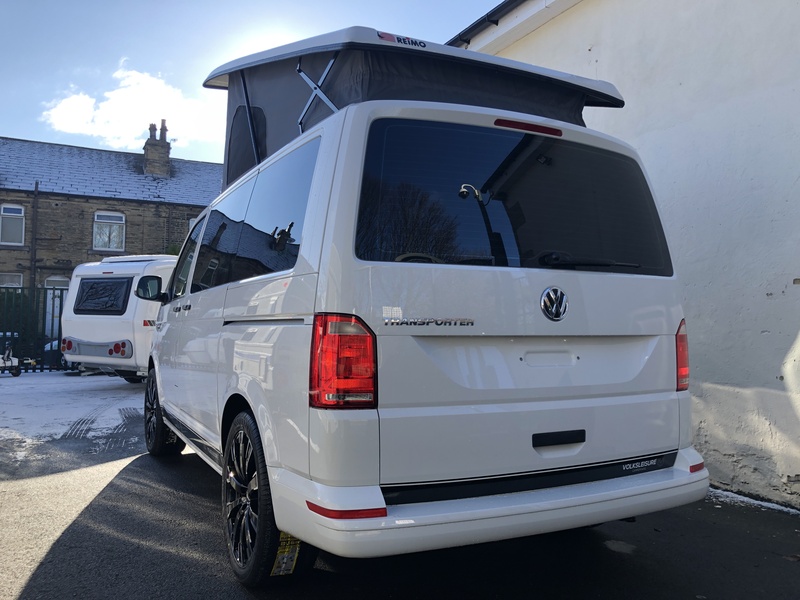 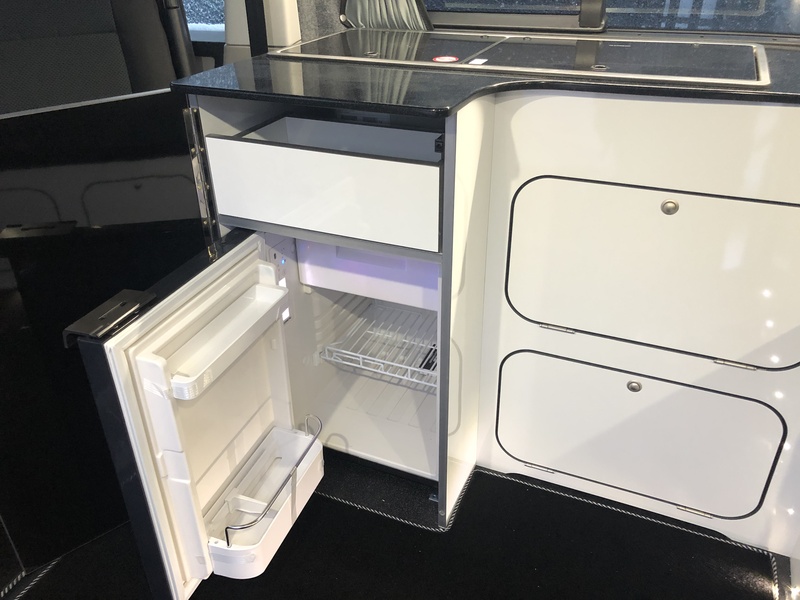 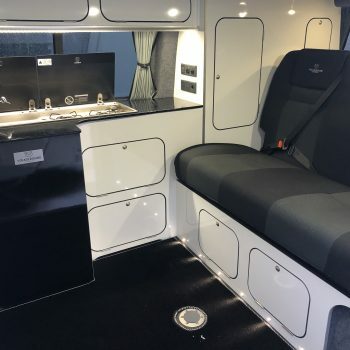 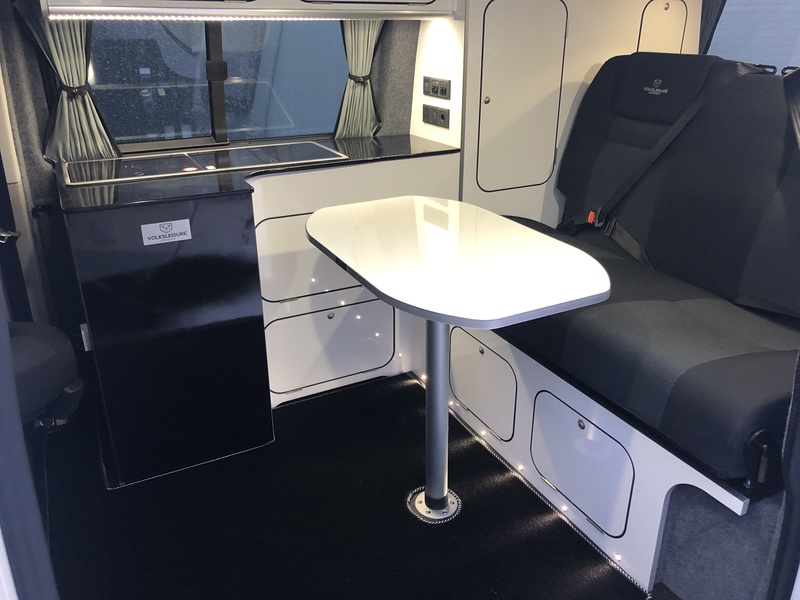 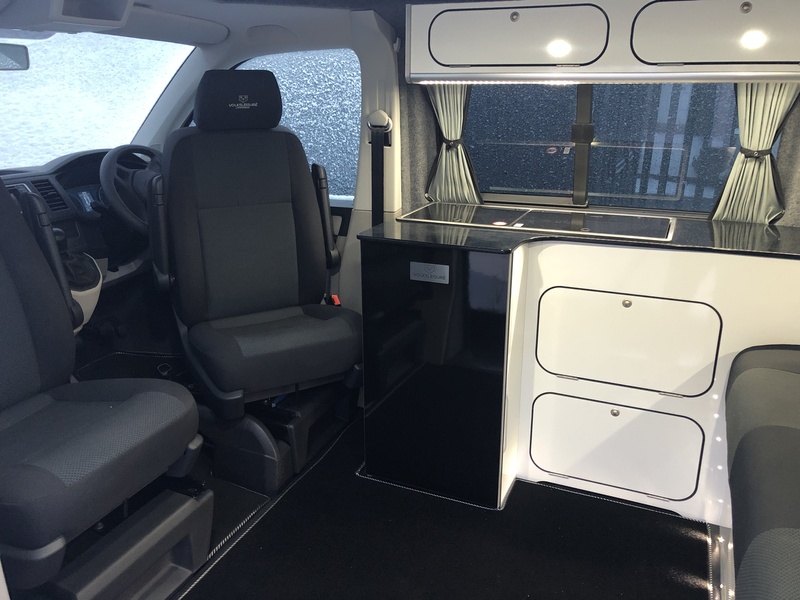 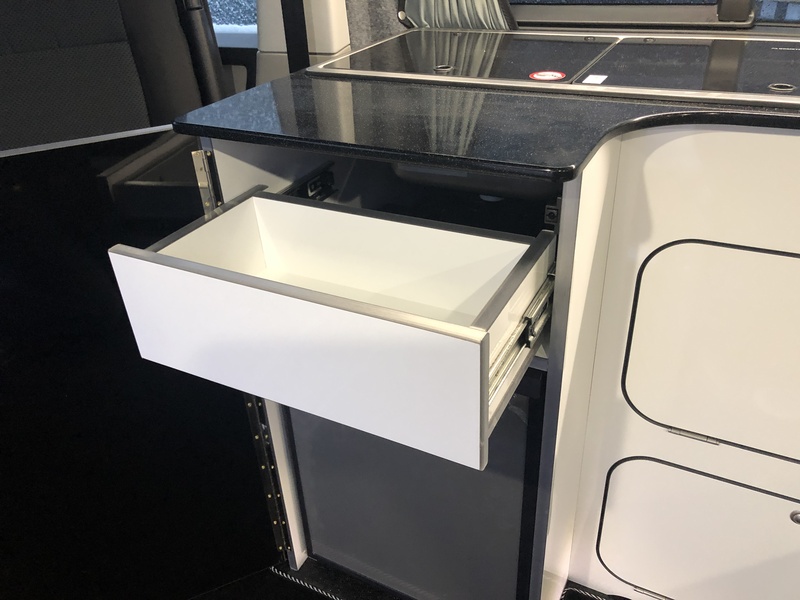 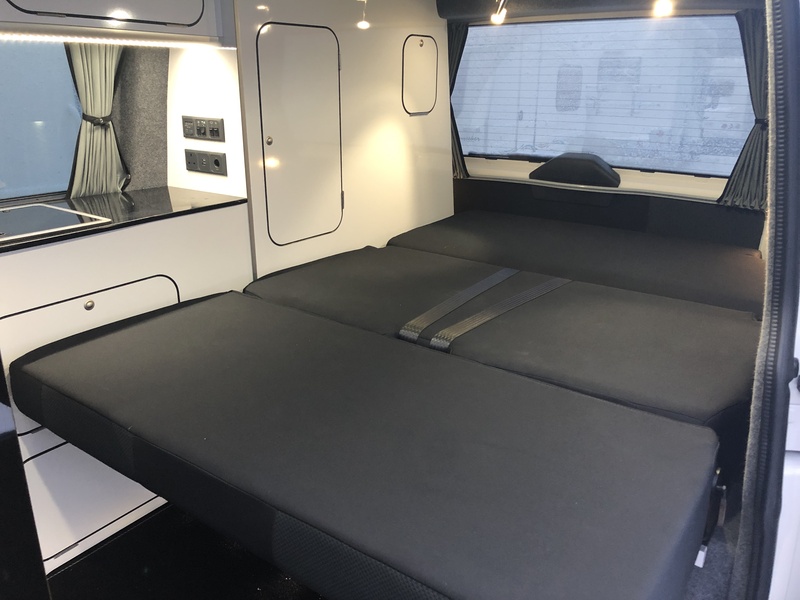 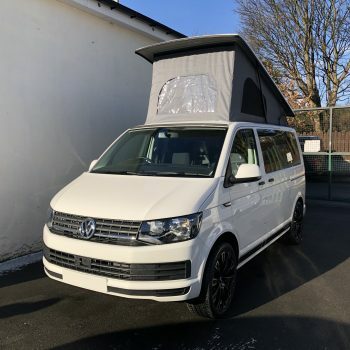 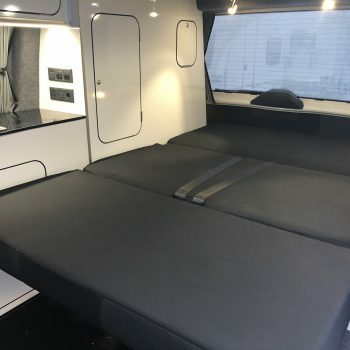 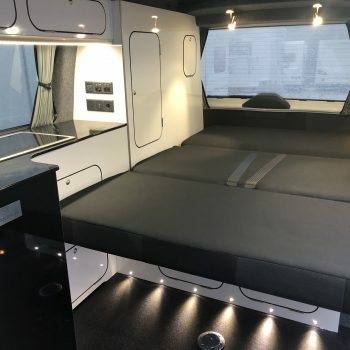 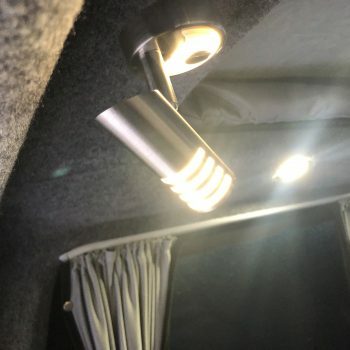 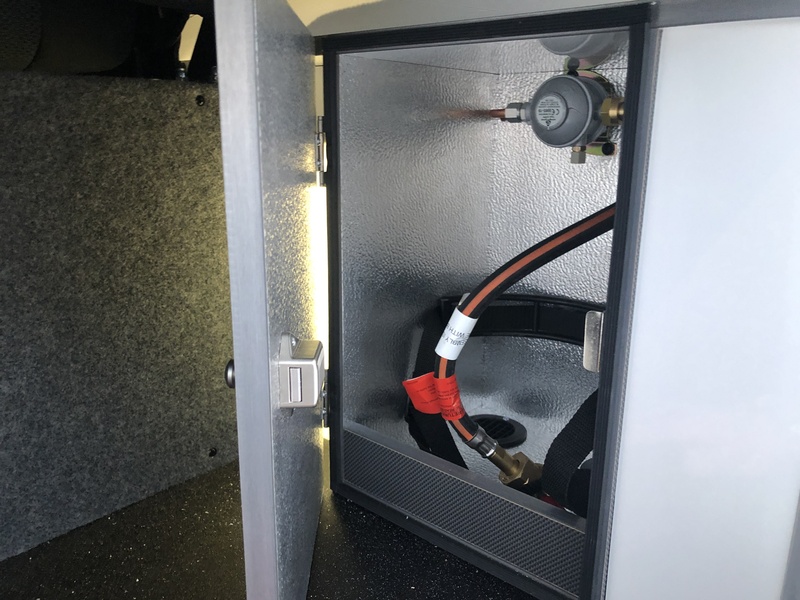 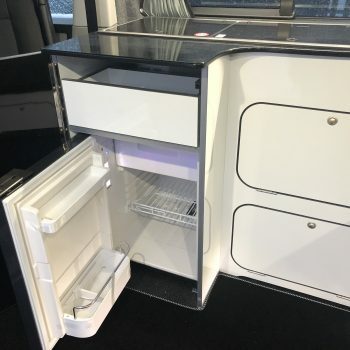 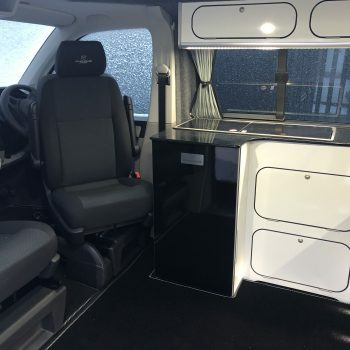 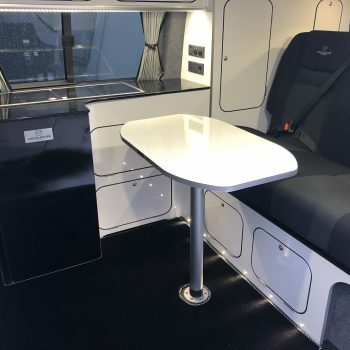 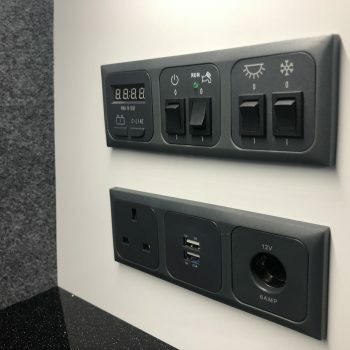 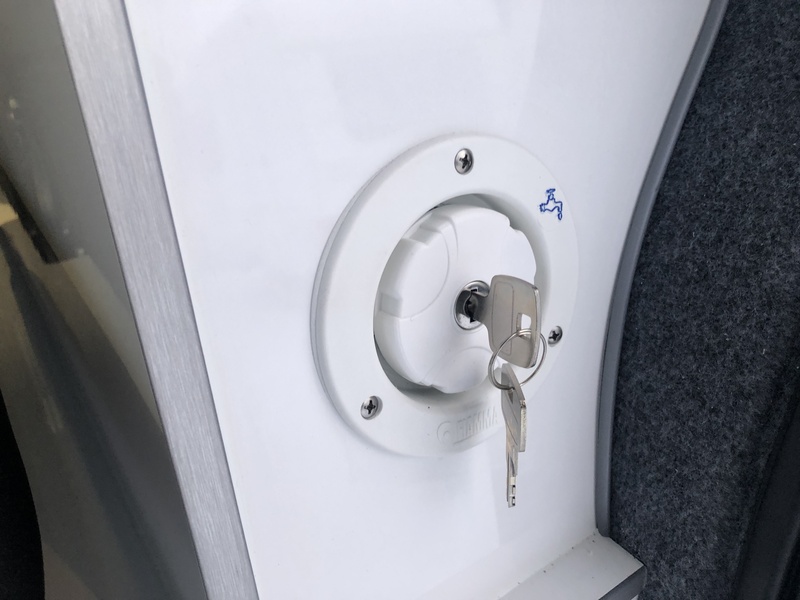 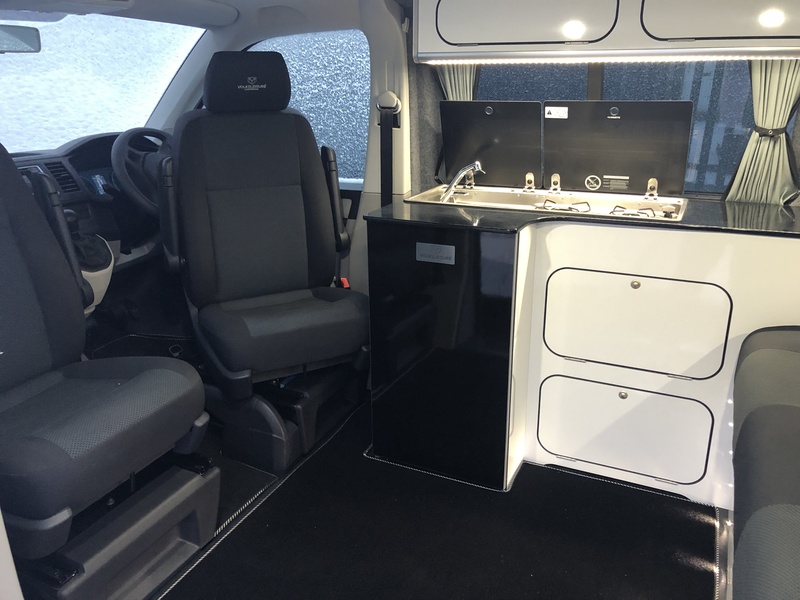 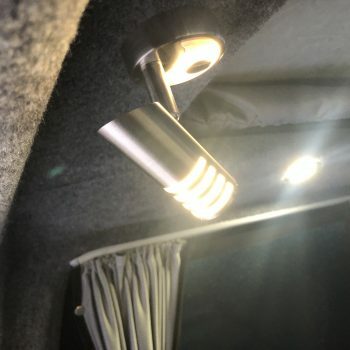 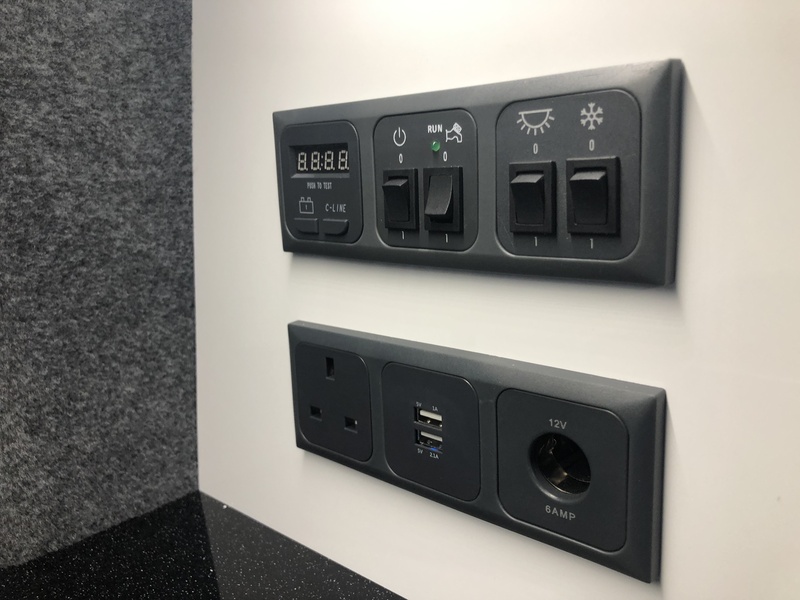 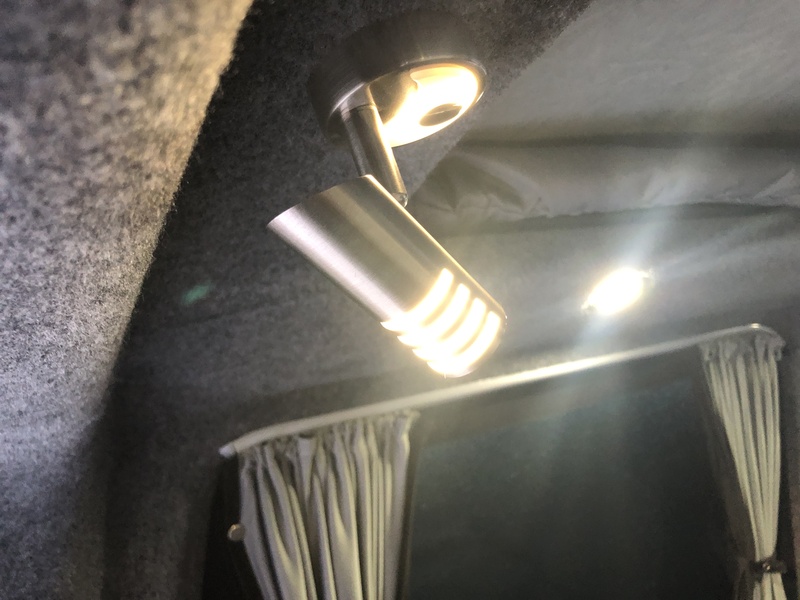 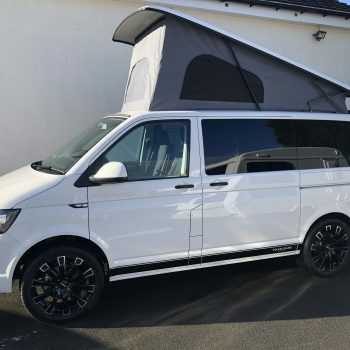 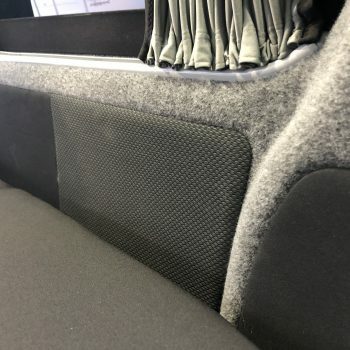 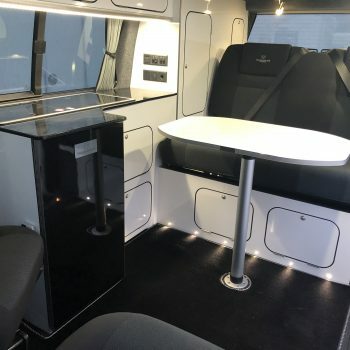 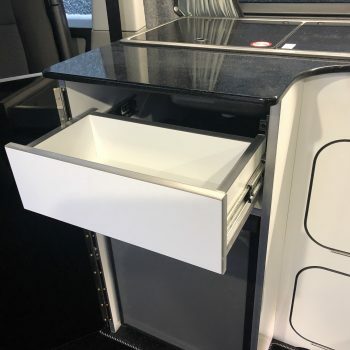 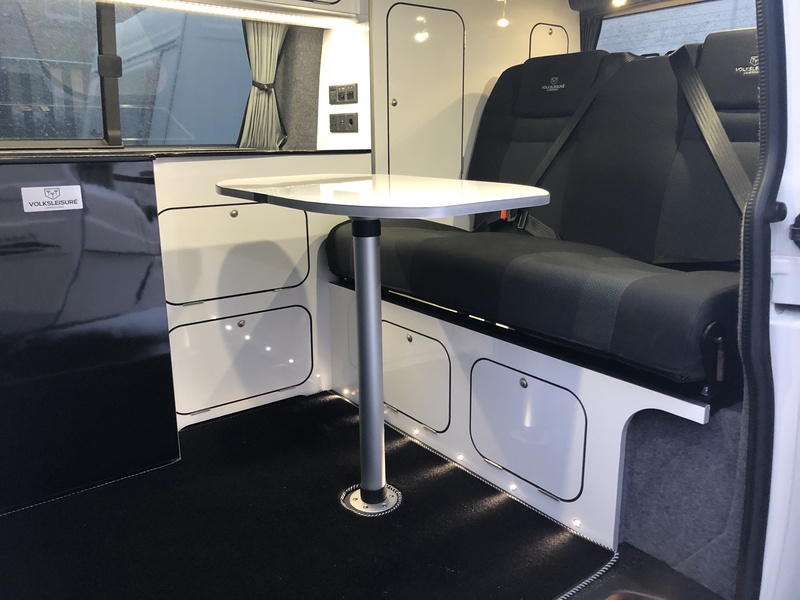 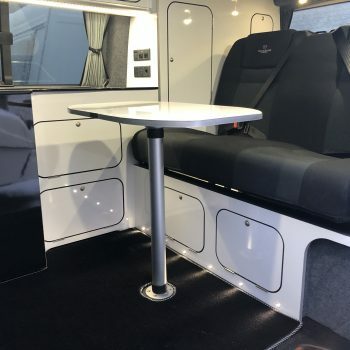 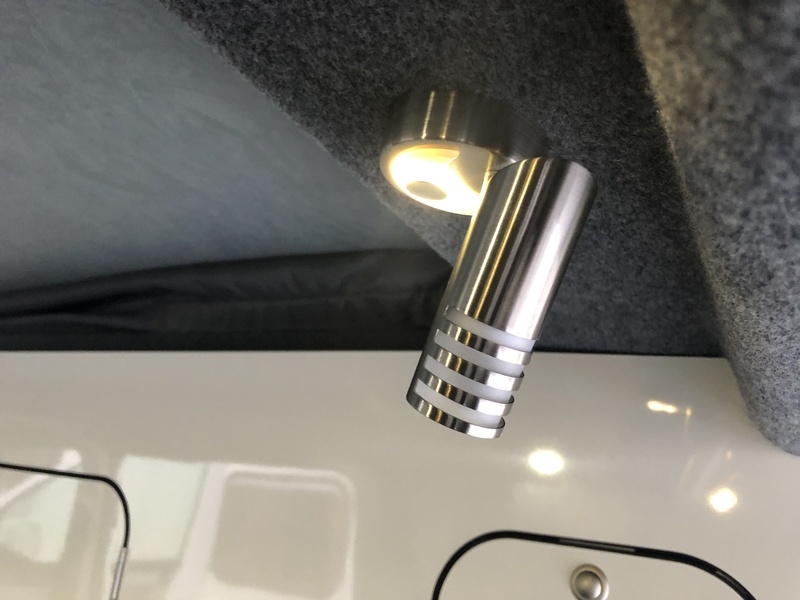 The campervan is based upon the VW T6 102 BHP Startline Transporter with 5 speed manual gearbox, air conditioning, glazed tailgate and comes with VW Simora upholstery as standard. 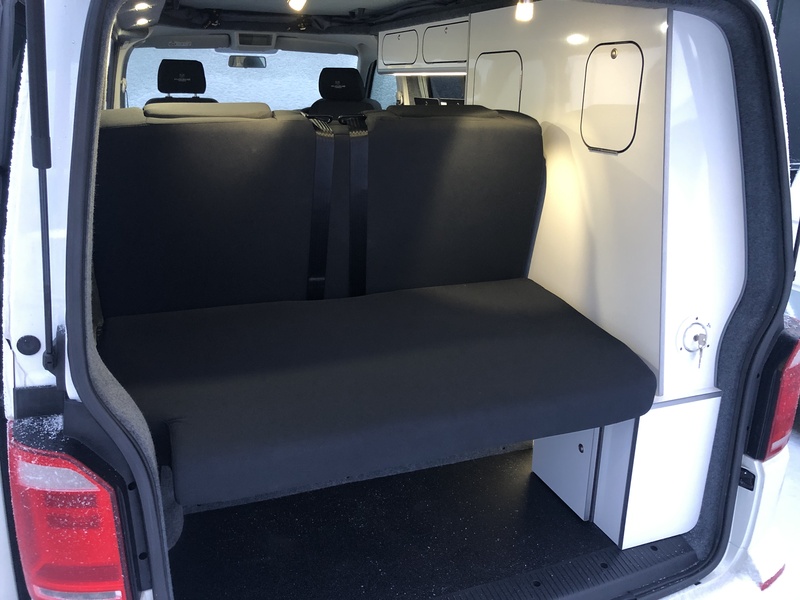 We fit a two-seater RIB rock ‘n’ roll seat-bed in the rear and a Reimo front elevating roof, giving a spacious living space. 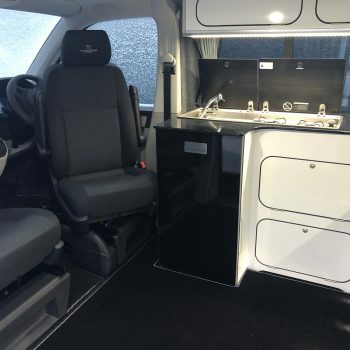 The kitchen comprises light-weight furniture with Tristone worktops, sink with twin-burner hob and fridge freezer. 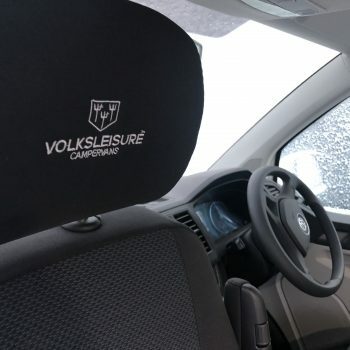 The front 2 swivel seats are VW factory fit. 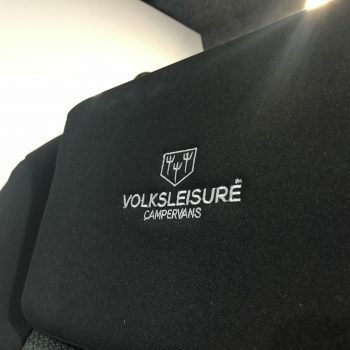 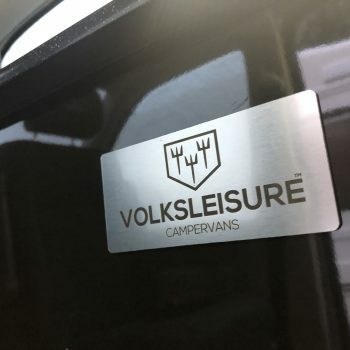 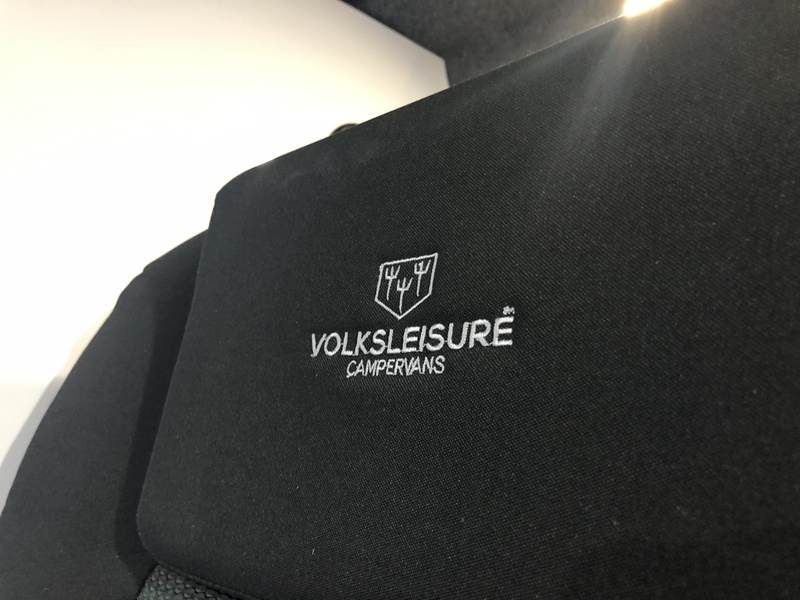 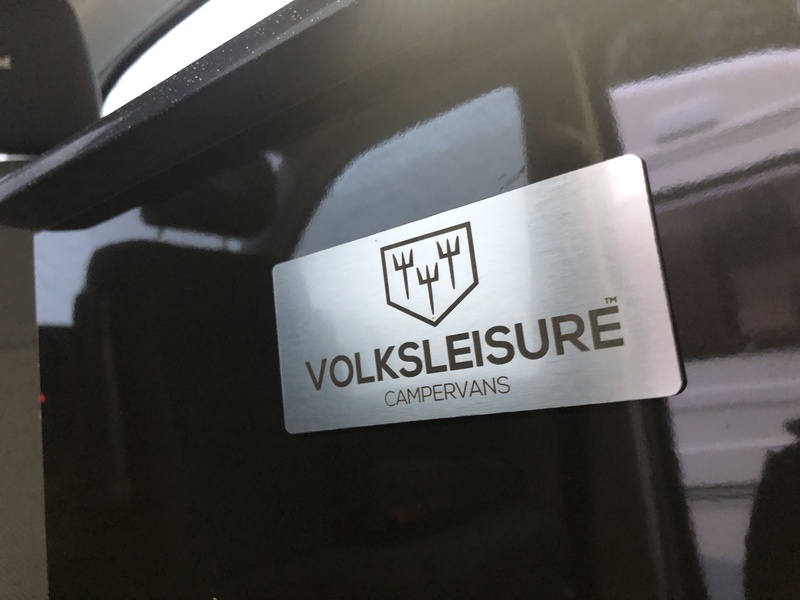 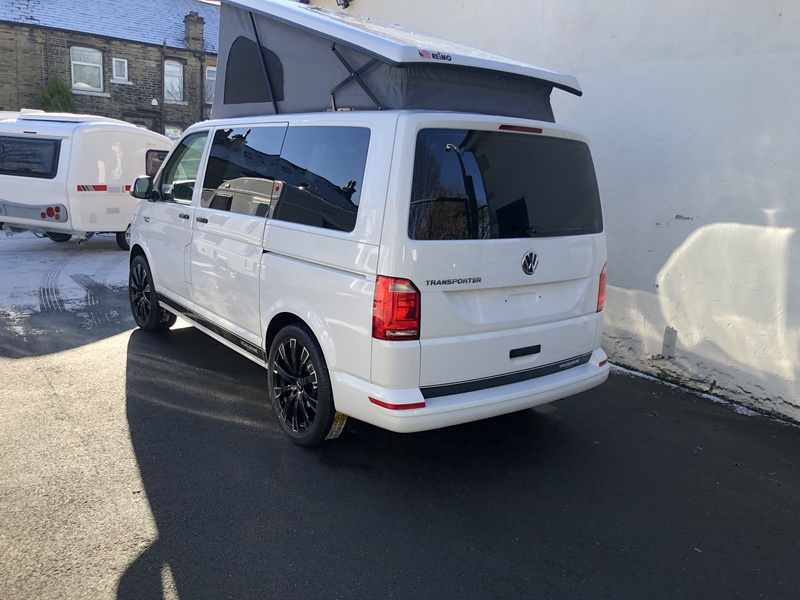 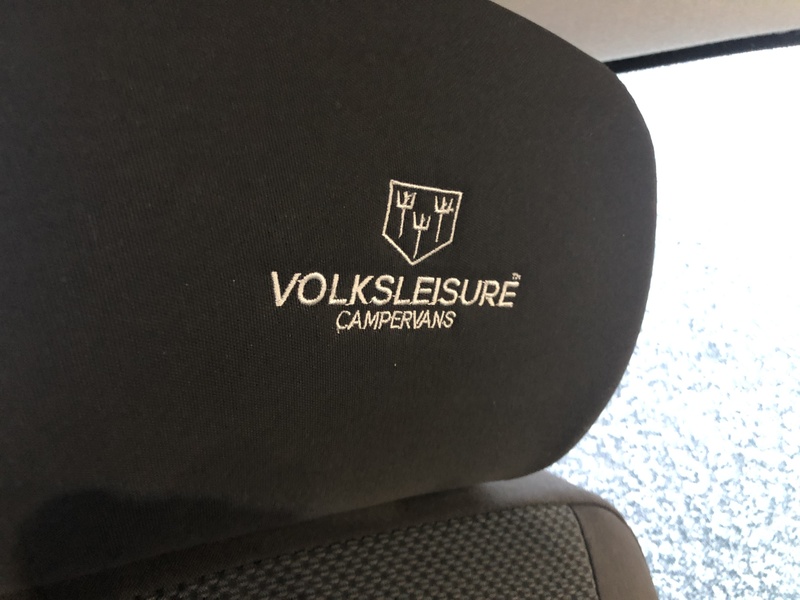 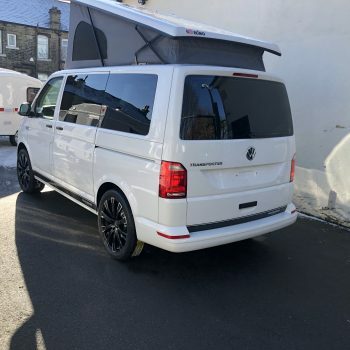 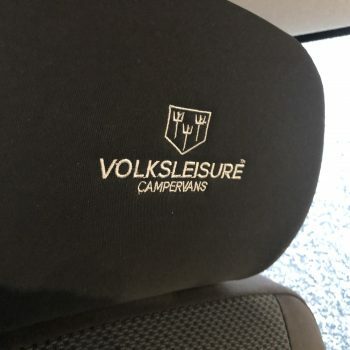 We believe that you cannot purchase a better built campervan with such a fantastic specification for under £40,000 and it doesn’t stop there, you can always add to your specification and make your Volksleisure Zermatt that little bit more individual, see our extras list below. 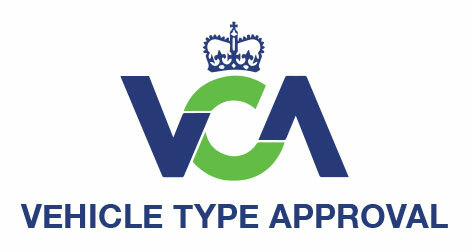 Our Zermatt model has been tested against specific performance standards set out by the Vehicle Certification Agency. 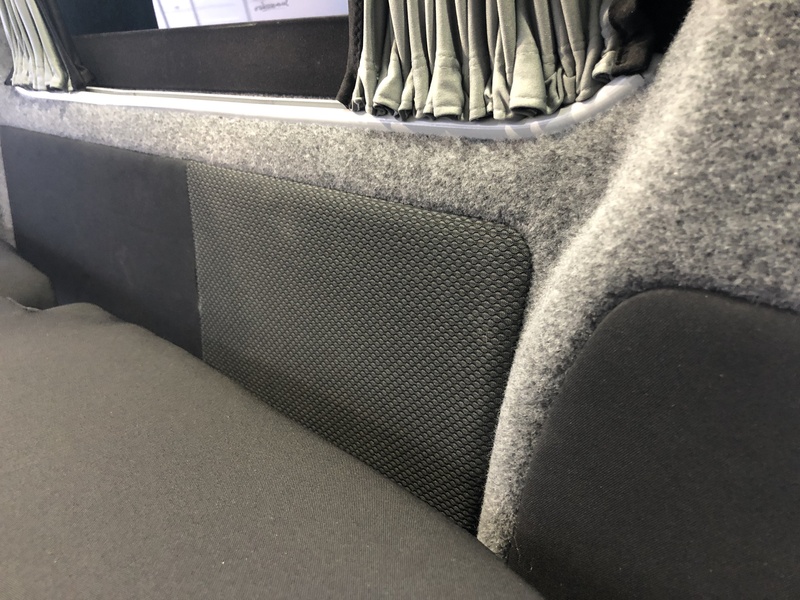 This includes rigorous crash testing to ensure the structure of the vehicle and the seating systems are not compromised as a result of changes made to the base vehicle during the conversion process. 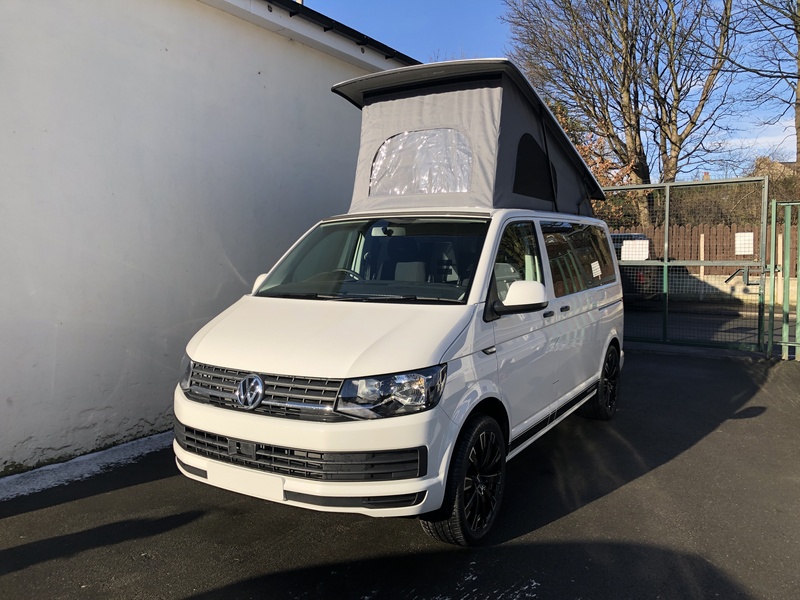 A&EO – We reserve the right to change the build specification and prices subject to increases by VW and raw materials / parts used in production.